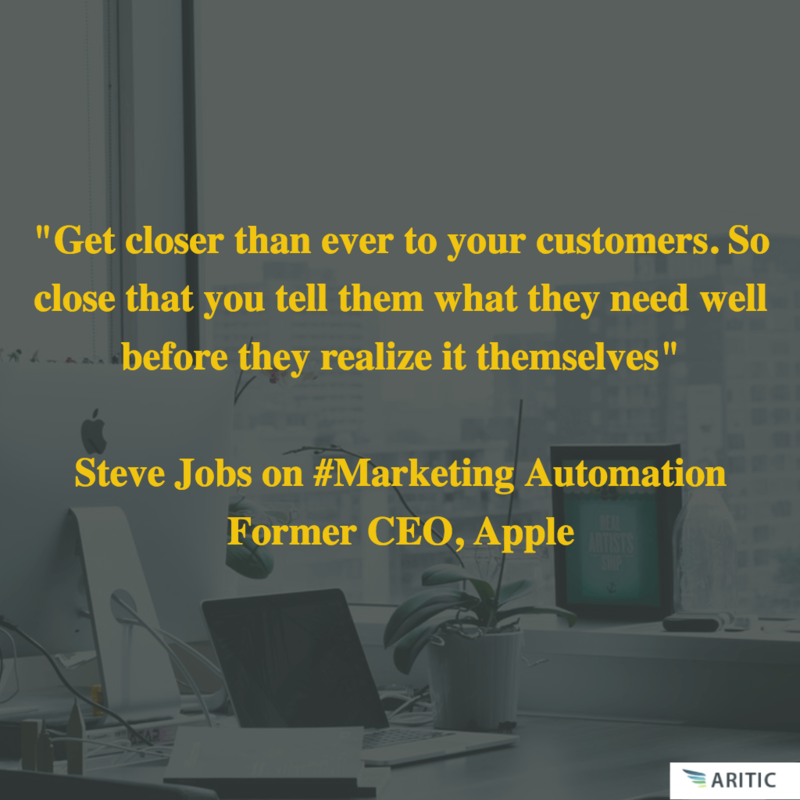 “I think Marketing Automation implementation begins with the CEO of a company” ~ Ankit Prakash, co-founder at Aritic. Ankit has repeatedly mentioned this in almost every discussion we had in recent times. It was a well-thought statement, and quite much practically applicable. A century ago, we never thought of a marketing automation platform in place. 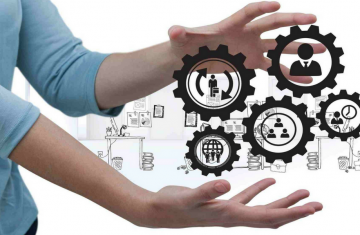 From then to now, when a majority of businesses are adopting automaton for a significant marketing process; it is time we acknowledge the role of a CEO in implementing a marketing automation tool. Being a CEO is not about holding a position. The designation comes with a lot of responsibilities, the center of which is – improving customer experience. It is vital for the main decision-makers to know the potential an automation tool has and how that can be correctly implemented in the business. Unless the CEO is fully educated, it will always be a challenge for the teams working under his/her guidance. For proper marketing automation implementation, it all begins with the CEO. Then the marketers come into the loop. It is good to start small. Marketing automation encompasses a suite of tools. Like at Aritic, we have Aritic PinPoint, Aritic Sales CRM, and Aritic Desk. If a business starts implementing each tool one at a time, it becomes easy to build the workflow. Marketing automation tool helps you identify this “half”. It measures your marketing efforts and shows you distinctly how your leads are converting within your marketing-sales funnel. Note that I keep mentioning it as ‘marketing-sales funnel’ instead of saying ‘marketing funnel’ because that’s exactly how marketing automation functions. And this is where the role of a CEO begins. That’s where you (the CEO) come to aid for your team. Since it is RPM that gives the most detailed insight into marketing performances, a CEO stands responsible for fine-tuning every marketing step at every stage. Every marketing activity needs to be measured. 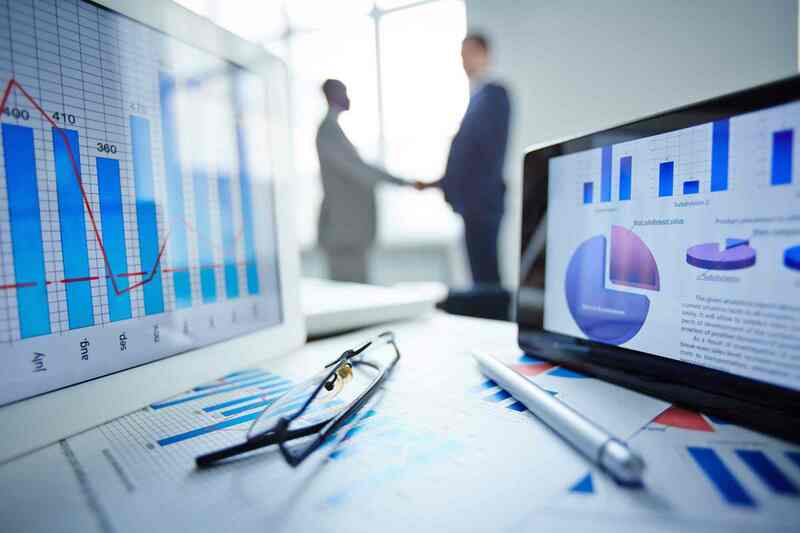 At its core, RPM refers to measuring and analyzing buyer’s response to negate any risks, predict results and business opportunities, and boost revenue growth. It begins when a lead enters into your pipeline and continues as the lead moves down your marketing funnel. When RPM is used with a marketing automation tool, you see striking results in your revenue growth. A CEO is like the captain of the ship. This means you are responsible for everything – the budget, the planning, the sailing and the sinking of your ship! It is upon you to instill a culture that brings the marketing and sales team together to work on a common goal. If that is not happening, a high budget marketing automation strategy cannot help your ship from sinking. So, the primary concern for any captain (CEO) is to align marketing and sales team. You can take a look at how this can be done in my previous article on Marketing-sales alignment before implementing marketing automation. As a CEO, you must know how your sales team is using the CRM. You have the power to bring about a cohesive partnership between sales and marketing. Hence, you must have a clear idea of how they are tracking sales, lead’s browsing pathways, and filtering leads as they pass through the funnel. You must know details like how many deals being talked on, how many are closed, what is the quality of data collected, and how many are left unattended. With details like these, you can channelize your team to take the next step. Marketing automation is about behaviour-based campaigns that require personalized contents of different types at different stages. You will know what content is required for which lead only when you have quality lead data. Every prospect converts into a lead when it finds relevant content and is greeted with contextual communications. To keep all these things rolling in perfect order, you have to ensure that your data is in the correct format and is consistent. You have to continue adding to it as and when possible by designing programs that consistently standardize your data and help you in discovering new opportunities for your data quality to expand. You can then focus on creating enriched content for your nurturing streams. As more and more data fields get filled out, you can start using them with field merges and also opt for dynamic content to keep the communications personalized and targeted. With a marketing automation tool, you can help in building proper marketing workflow. You can decide the lead scoring scale with your team, make them understand the nitty-gritty of analytics, and also keep an eye on how campaigns are performing. Not necessary that you hand-hold your team for every campaign, but your opinion and suggestions based on the reports generated can help your team in utilizing the marketing automation tool to its fullest potential. For instance, many marketers do not use pay heed to the lead scoring feature. They fail to grasp that user processing is done with the lead scoring system (atleast a large part of it). That’s when they start facing bounce rates. This is where they will need you to take the lead because you know the importance of lead scoring. You know better about consumer behaviour and can help them analyze user profiles better. You know your potential leads are empowered enough to know what they want. There is no way you can bluff with your target users. Also, in the modern user lifecycle, a user is in-charge of his/her sales journey. This means, your team has to be adept with the evolving consumer behaviour pattern, analyze them and connect with them with targeted content. Corporates are never going to respond to a plain “buy this” email. You are a CEO, and you know why you won’t pay attention to such an email. Help your team to reach out and connect with decision makers of potential business clients just the way you’d expect to be approached with a deal. Your expertise, industry knowledge and instincts are the best resources your team can have. You know how best corporate objectives can be met because you yourself is leading one. Show them how a marketing automation tool can be used to cater new-age business demands, organize team members, and increase the overall ROI for your company. Want a proof that marketing automation implementation begins with the CEO? Get your team onboard and start using Aritic PinPoint. If you want to convince your CEO to start using Aritic PinPoint, you can recount these explanations. For more insights into this, you can comment with your queries below or write to us. It’s true that the implementation of marketing automation begins with the CEO. Yes, it’s true that if marketing automation needs to be successful, it’s a great initiative by the CEO itself. It’s true that the implementation of successful marketing automation begins with the CEO. If a company to be successful, a CEO plays a significant role in motivating the whole team and making them attain every goal. Thanks a lot for the informative blog as now I realize how accurate it is that the Marketing Automation begins with the CEO. The Aritic PinPoint is a successful marketing automation platform. The CEO has played a key role in implementing marketing automation plans. He has always motivated the whole team to understand the marketing tearms and channelize team to take the initiative. Hey, I am at sixes and sevens regarding this decision to incorporate marketing automation in my business. I have done my research and looked up a few of your blogs. I must say y’all provide all pieces of information there is with great tips. I hope this benefits me and my company. Regards. Now that you have mentioned it, I realize how true it is that the Marketing Automation begins with the CEO.